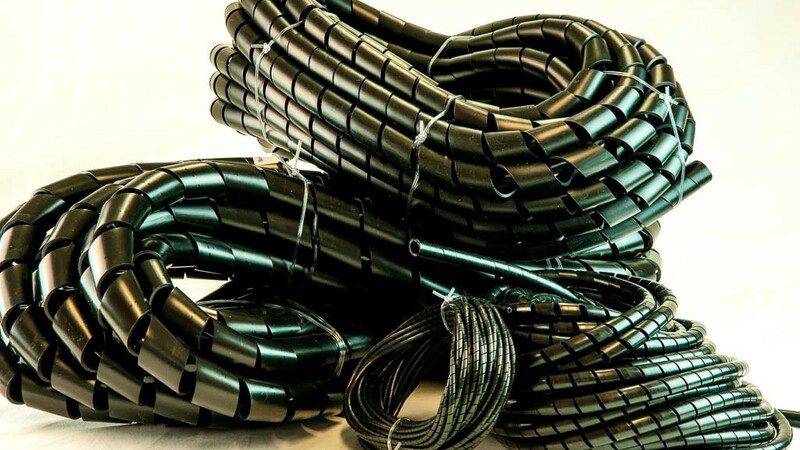 Spiral wrap provides protection and harnessing of single and multiple cable/hose bundles. Spiral wrap allows for easy breakouts and branching of the wrapped bundle. This handy product is manufactured from low density polyethylene and offers excellent resistance against abrasion, rubbing and unwanted contact on the bundled contents. Ideally suited for use in the home and office, pneumatic, electrical, marine, transportation and hydraulics industries. UV resistant in Black.